Cecil Wood, with another man, sitting in a motor car built by himself in Sophia Street, possibly his first four 4 wheeled motor car, circa 1902. 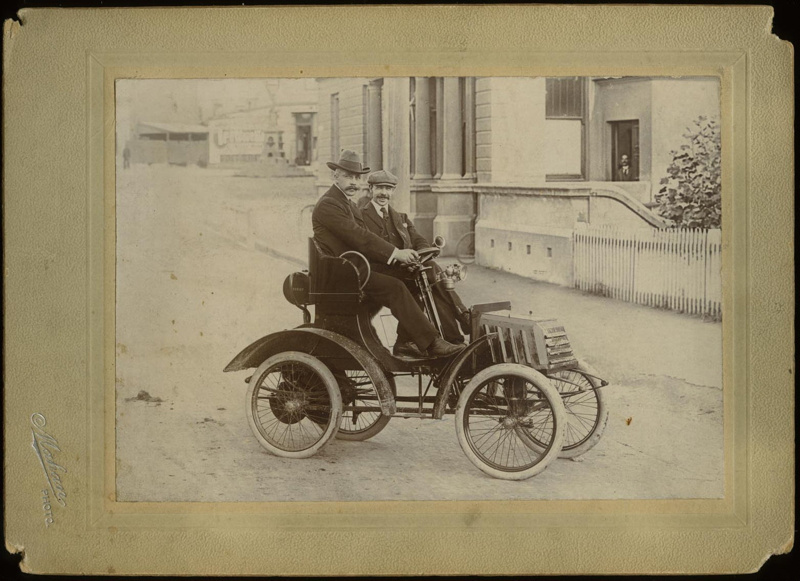 A newspaper cutting on the back of photo reads: "Motor Car built and run in Timaru by Cecil W. Wood, 1901-02, Engine on rear Axle, Surface carburetta, wooden Mudguards, made and bent by J. Jackson and Co. Body by late J. J. Grandi (cost of body in 1902 6 pounds)"